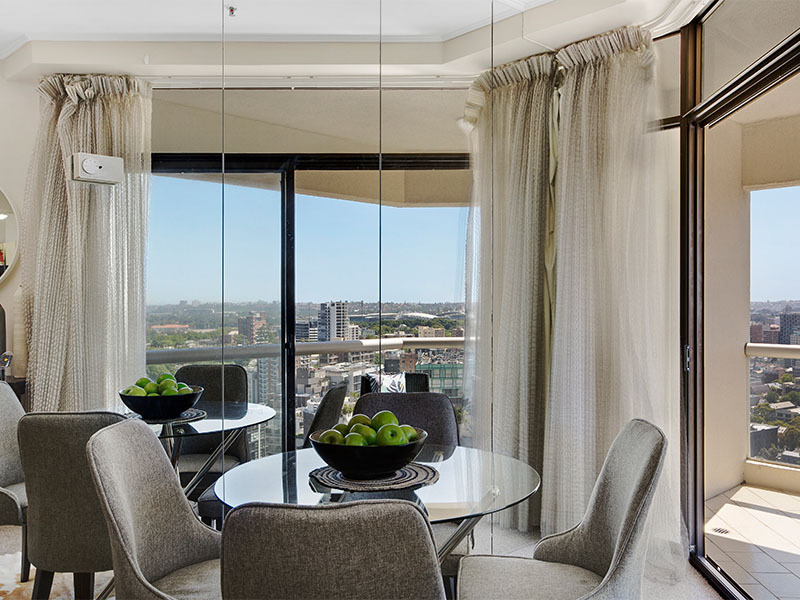 Found on the 24th level of the exclusive Connaught and constructed by the builders of the Sydney Opera House, this two-bedroom apartment is the peak of luxury city living. 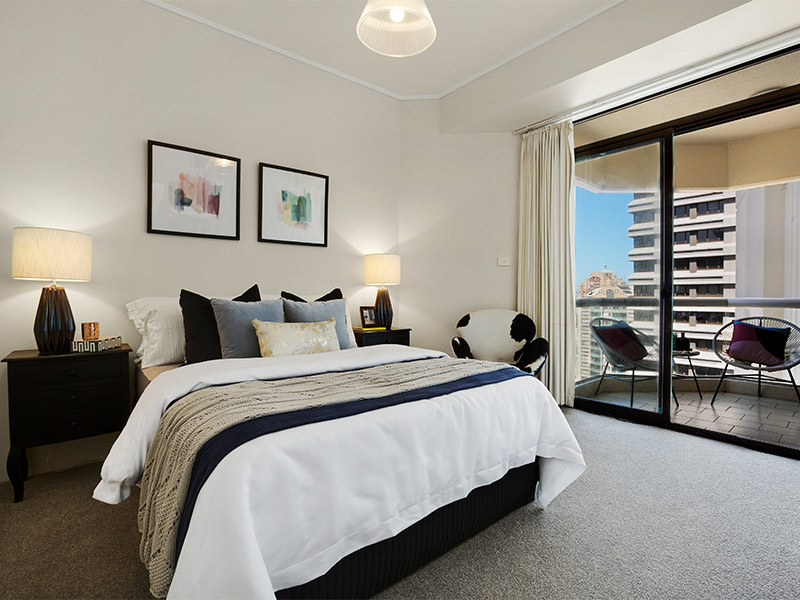 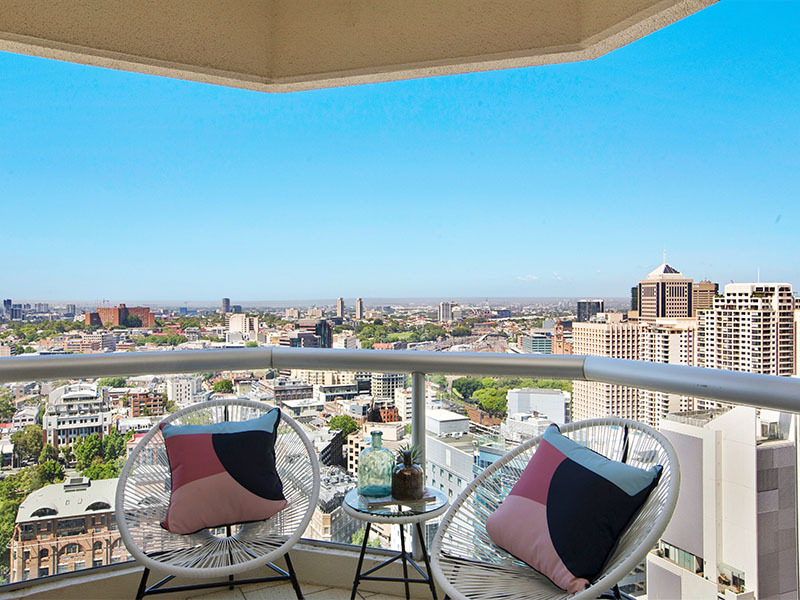 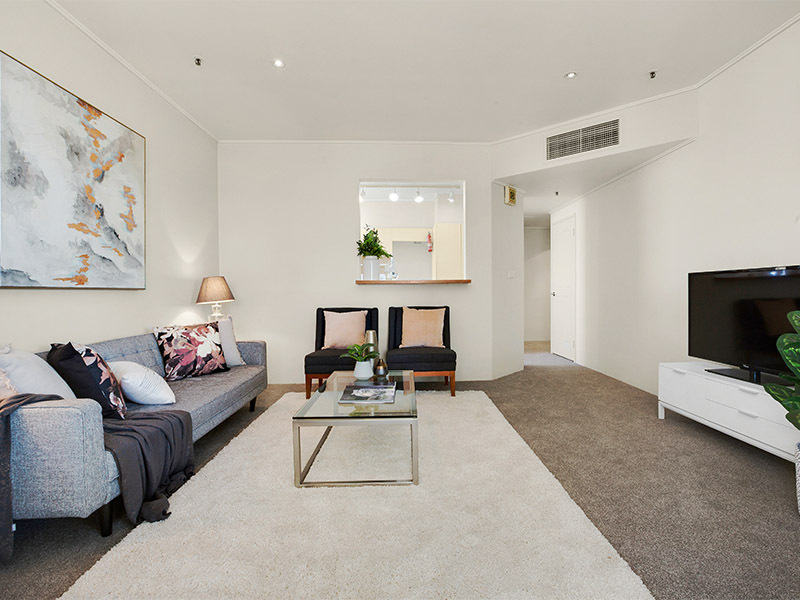 With a prime corner position, its two balconies boast impressive views of Surry Hills and Darlinghurst, high above the hubbub of city life down below. 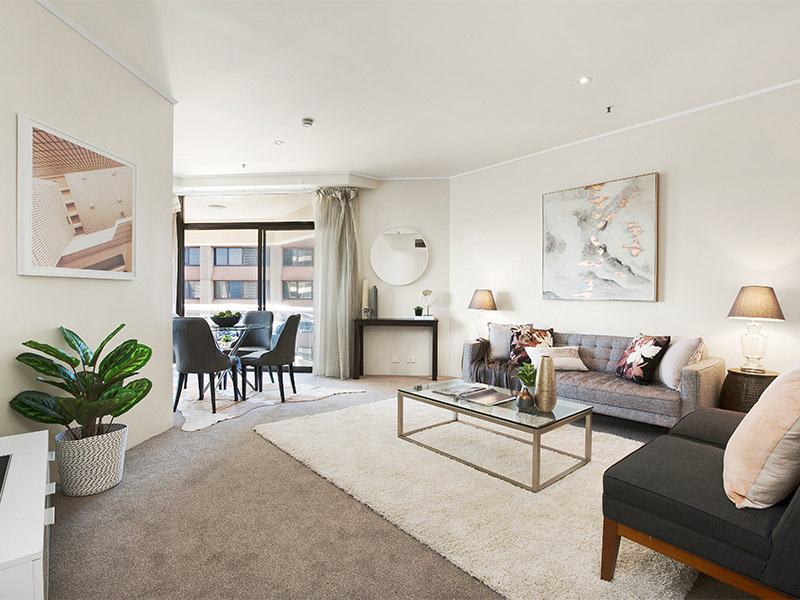 The styling reflects the luxurious surrounds, melding a soft, pastel colour palette with rustic metallic accessories to create a unique and memorable living space.